La Reina Blog, News & Updates: THANK YOU FOR FOOD DRIVE DONATIONS! 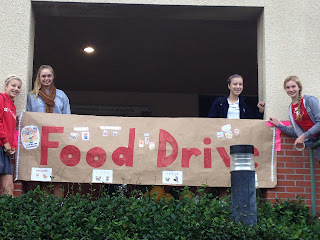 Many thanks to everyone who supported our quick and easy Food Drive. 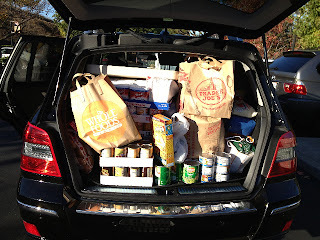 The Ellias family requested our help, after hearing a sermon at St. Julie's on the dire needs of local families. As of yesterday, 30 local families had to be turned away due to a lack of food and funds. 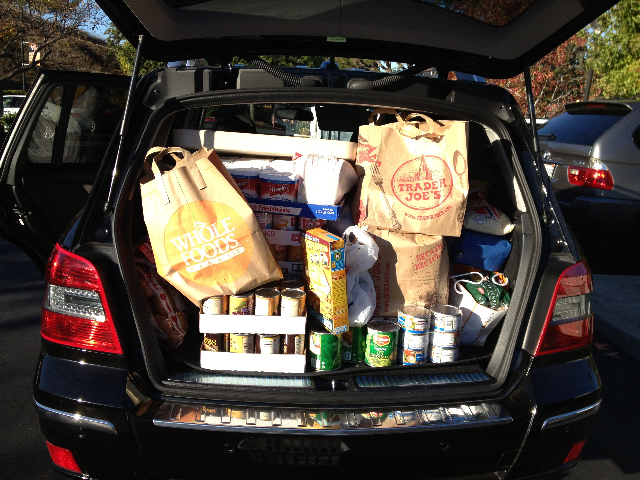 Now, due to the generosity of La Reina families and the ability to get the specific items of need to the church on time, ALL of these families are now going to get a Thanksgiving Dinner with food to spare! Barbara Ellias said, "I had volunteers sign up to help, however another bright spot for us was seeing the number of girls at La Reina morning drop off just step in to help unload cars. They were all so excited to see the bags of food come in, and feel such joy over helping! The blessings this school offers these girls are far more than anyone can even put words to. We are a very lucky family to be a part of this beautiful environment!" Thank you to everyone who participated and to the Ellias Family for organizing this campaign. Have a wonderful Thanksgiving holiday!